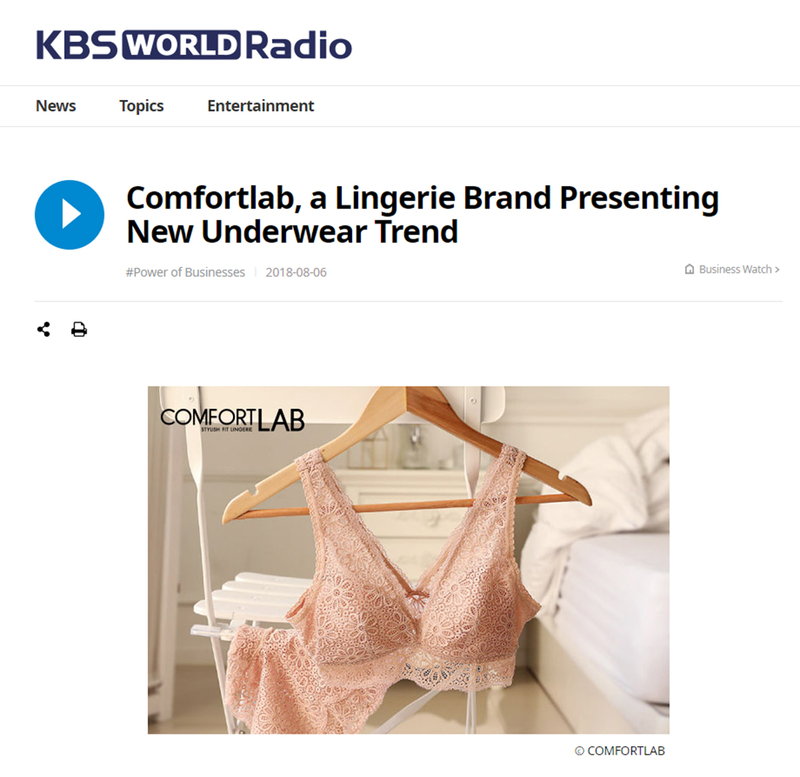 "COMFORT LAB", a new trend of underwear. "COMFORT LAB" is an underwear company that has won the hearts of many customers with comfortable fit. We will highlight COMFORT LAB', the only company in Korea that self-produces and manufactures its products. Check the photo reviews of COMFORT LAB's HIT and viral Lacy Comfort Bralette: 120,000 copies were sold by word-of-mouth! According to a report by the Korean Association of Clothing Industry, 97.7% of women wear brassieres. Recent introductions of a wide range of functional products make a variety of bra choices available to suit individual preferences. The most popular underwear for women is the underwire bra. This is because wires are thought to support chest shape and suppleness. However, wires can disrupt proper blood circulation and may also cause indigestion and esophagitis. In 2010, before bralette was a hit trend, Principal designer who felt regular bras were uncomfortable reviewed bras in ‘Zero-Base’ without following the design of regular companies and restructured it with new perspective towards comfortable bras.